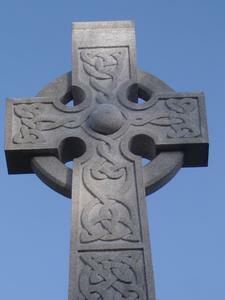 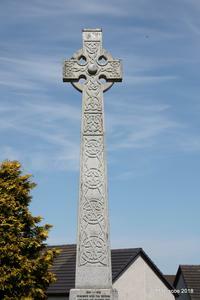 Celtic cross on block and three stepped base, carved decoration and inscription on front of cross. Aberdeen Press and Journal - Thursday 15 June 1922 www.britishnewspaperarchive.co.uk/viewer/bl/0000576/19220615/102/0008 CROY MEMORIAL. 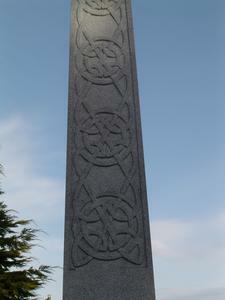 UNVEILED BY VISCOUNT FINLAY. 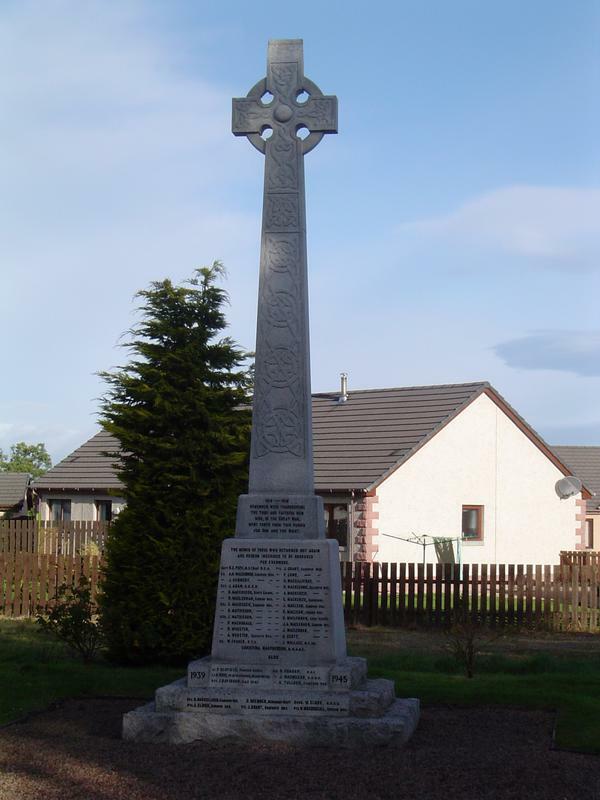 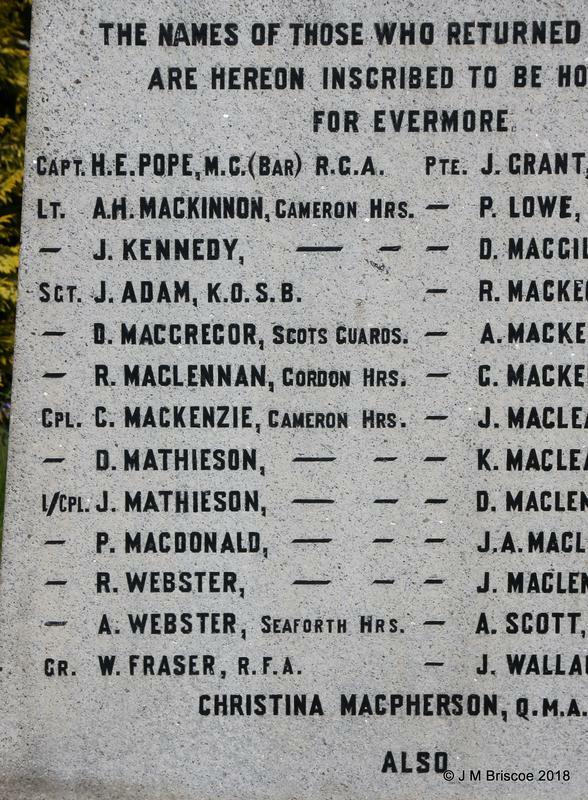 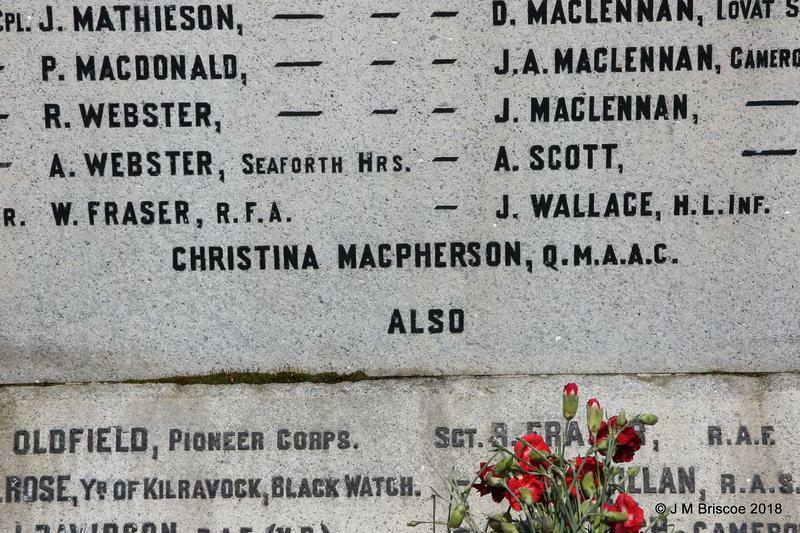 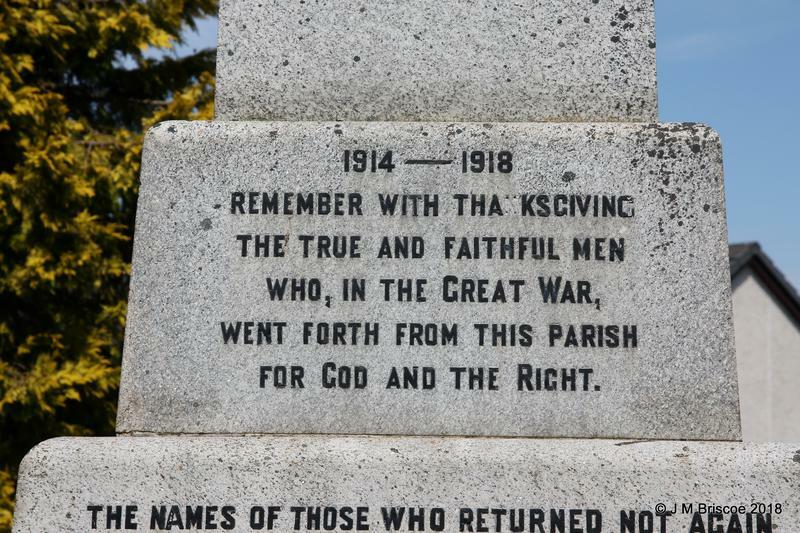 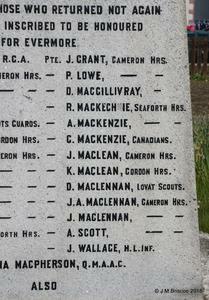 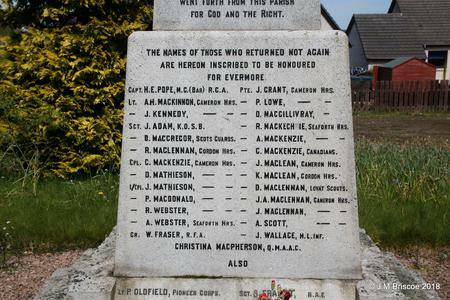 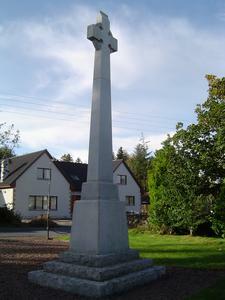 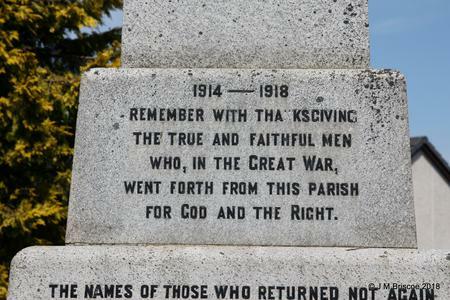 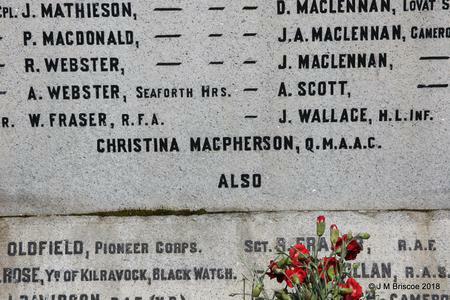 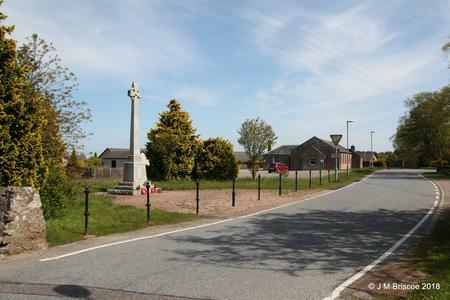 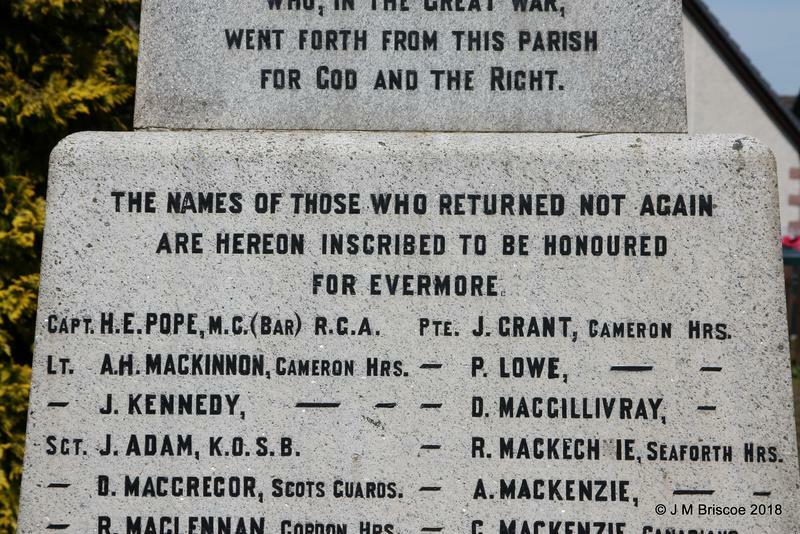 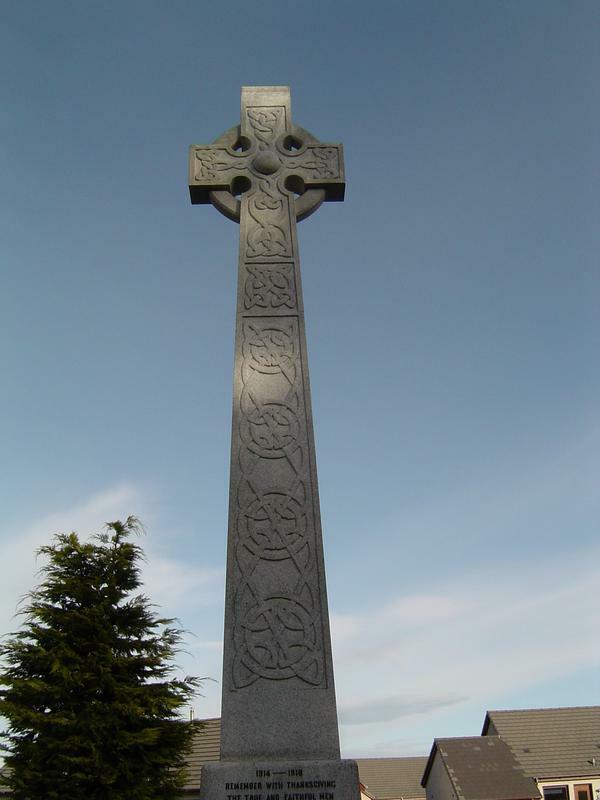 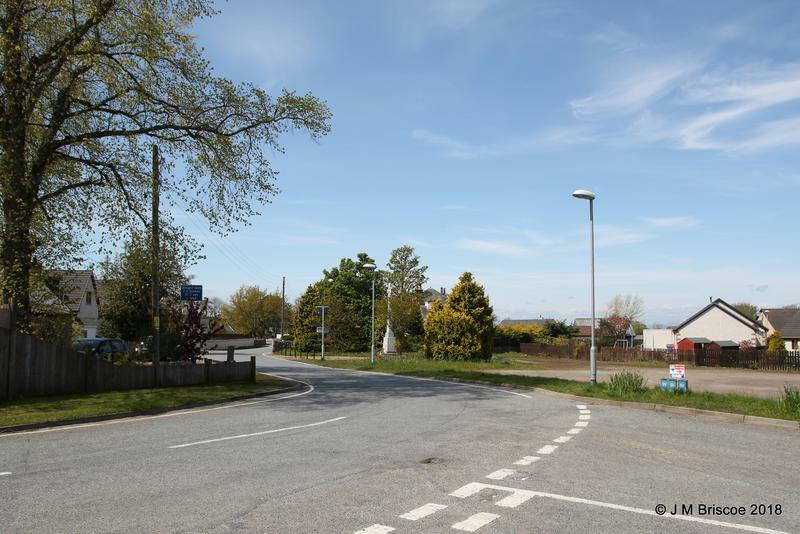 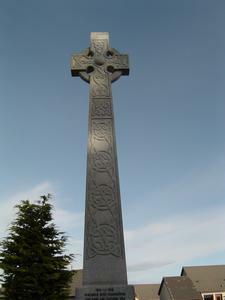 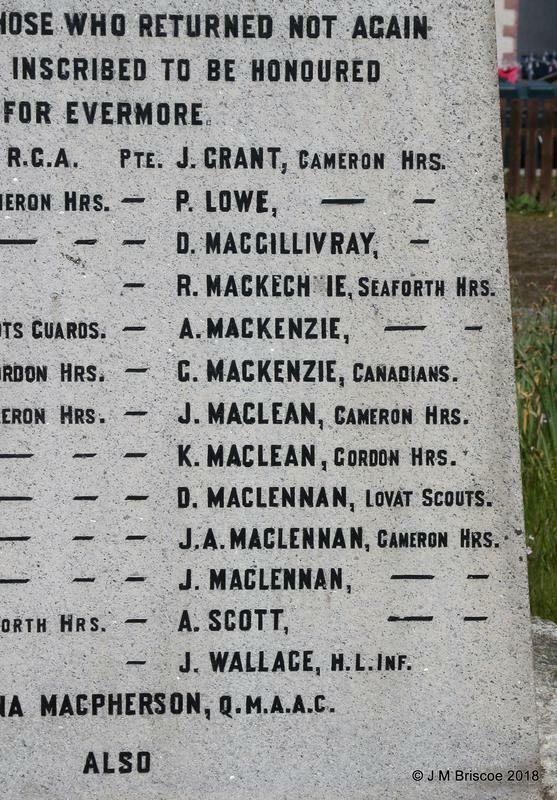 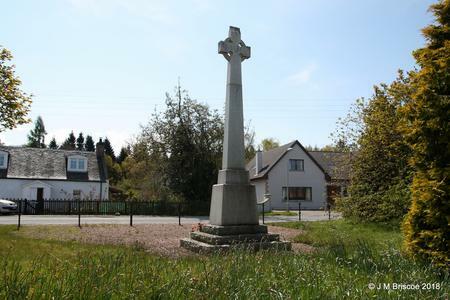 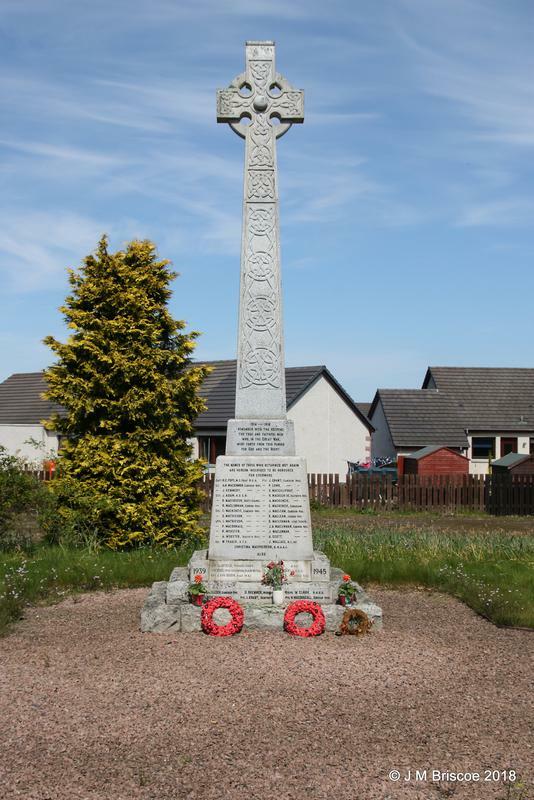 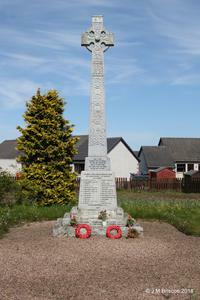 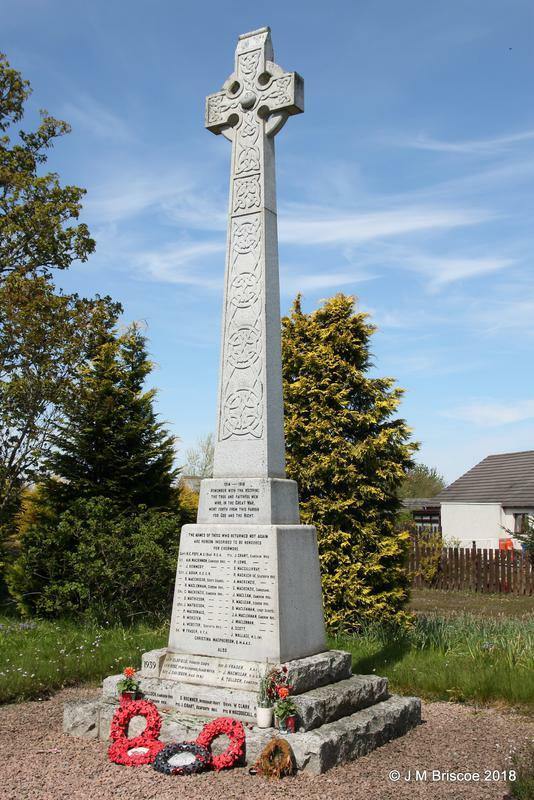 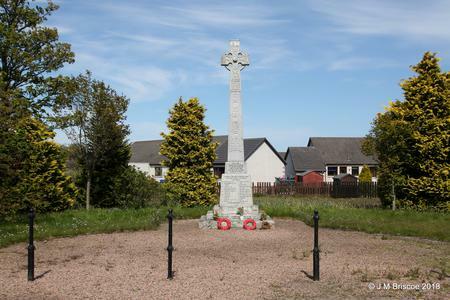 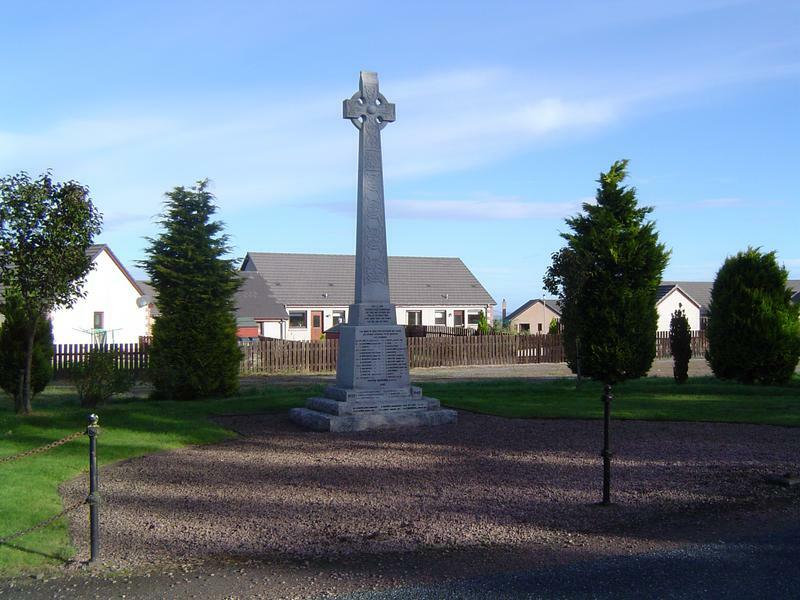 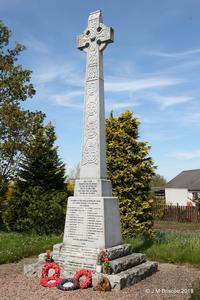 Viscount Finlay Nairn unveiled the Croy War Memorial on Sunday, and the Rev. 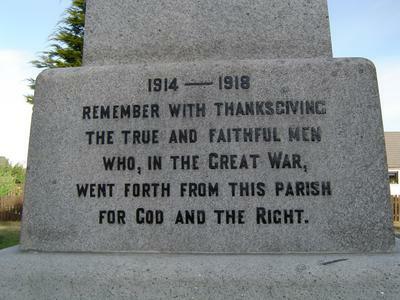 Charles Fraser read the lesson and led in prayer. 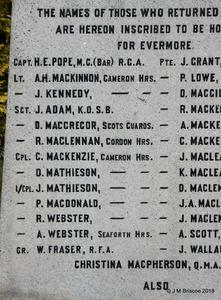 (report includes full list of names etc).